In the present day, with various trends coming up in the event industry, many service providers have come up with unique products and services such as innovative lights, trendy cameras, limos, mobile toilets and vanity vans to make the events a success and give them an exclusive touch! 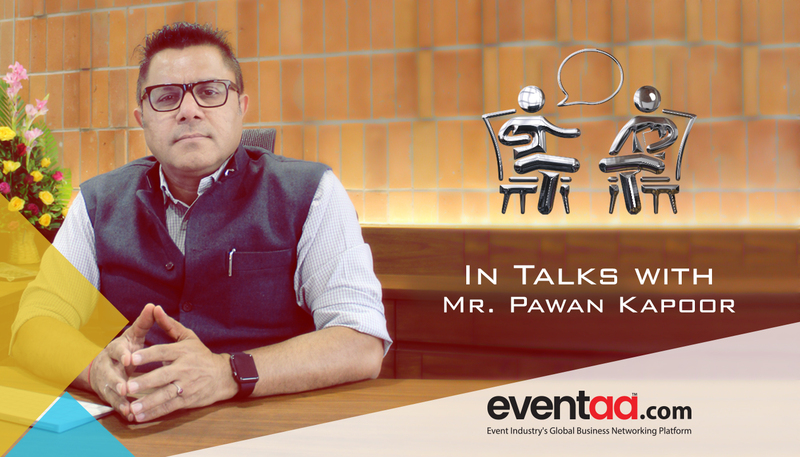 Eventaa brings in the interview of Mr. Pawan Kapoor, Owner of R.K. Enterprise who stands out as the trendsetter in the event business by bringing in range of services that are innovative and one of a kind. Eventaa: What inspired you to bring out these innovative services? Pawan Kapoor: We are in the business of fabrications of toilets for the last 25 years. We started renting these fabricated toilets in Ahmedabad in 2002. In 2007, I visited the US and saw portable toilets in all the public places and gardens which were given on rentals basis. We also started importing these toilets from US and EUROPE. We made it available for the government as aircraft toilets for all government events. This concept started moving very fast as there was no solution to toilets at that time. We are now making 10 types of toilets like labor toilets/chemical toilets/executive toilets/labor toilet vans/VVIP AC toilets vans/ gents urinals for four/fibreglass toilets and bathrooms. In 2012 we launched the concept of renting vintage golf carts in Ahmedabad. We started with 5 carts and now we have 50 carts. We are the biggest golf cart renting in India. We started for wedding entries but now it is in all types of functions like government events, corporate events, religious events, and weddings. Eventaa: Which are the big events you were associated with, till today? 8. Plast India Ahmedabad and many more. Eventaa: How do your services stand out in comparison to your competitors? Pawan Kapoor: We strive to give the best service with proper uniform for our staff and also give proper training to our staff. We have also started a customer call service after the events to take the feedback from the clients. Eventaa: What are the upcoming products you are planning to launch in the service category or new services? Pawan Kapoor: This year we have started a new concept of renting modified vintage limo for wedding entries and classic sports convertible open cars for wedding entries which is very unique. We have also started new service of renting VVIP mobile restrooms, vanity vans for ladies and gents. Both these concepts have become a super hit in very short time. R.K Enterprise is prominent in manufacturing, supplying and exporting toilets and bunkhouses. These include Prefabs Rooms, Portable Toilet, Static Caravan and Portable Drinking Water. These products are made as per the specifications of the clients. They manufacture the products with high-grade quality materials and examine them for their efficiency, accurate dimensions, and consistency. With growing trends, event industry continues to connect the audiences with technological innovations and new services that are tailor-made and customized exclusively for the events and ultimately improve the overall consumer experience.